Okay, so we’re back for the ever popular topic of cloth diapers! For those of you who haven’t really looked at cloth before, or did a LONG time ago and have been out of the loop, there’s a lot of frightening lingo when you go to some cloth forums. And if you’re anything like me, your eyes glaze over after the information overload. So I’m here to break it down for you! We’re going to start with the simplest part: categories of cloth diapers. I’ll break each one down for you and give you some of my pros and cons. Disclaimer: I include links to products below that are through Amazon Associates, which means that if you click the link and make a purchase on Amazon, I earn a percentage. YOUR PRICES DO NOT GO UP if you purchase through an affiliate link, it just means that you’re helping to support us and this blog. We appreciate it! Also, I am not paid by any of the diaper companies to say nice things about any of them. Everything here is purely my opinion based on the things I’ve used. I am a fan of the fit and quality of the Bum Genius diapers I have. If you’re looking for a basic AIO that is relatively quick drying, the Bumgenius Freetime is a good option. 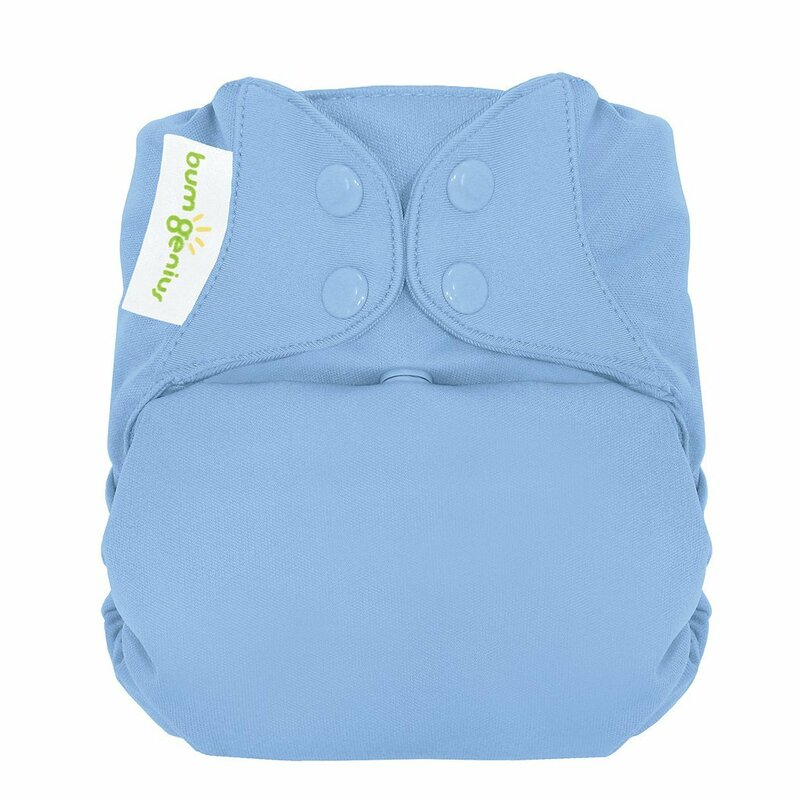 If you’d like something similar with an organic cotton inner, the Bumgenius Elemental Organic might be more your speed. gDiapers has a Newborn Bundle that is a good fit for smaller babies like mine was. They come with 12 newborn and 8 small sized G pants and 80 disposable inserts. You can easily use cloth inserts, prefolds, or flats instead of disposable inserts. It might not be my first choice in newborn diapering systems, but for those that really want a hybrid system this would be right up your alley. I got a few Bum Genius 4.0 using some Amazon gift cards AND my Babies R Us gift cards. They actually carry them in the store now, which I think is really cool! They also carry gDiapers and other cloth items if you find yourself with some cards to spend! I also really enjoy Thirsties products for their trim fit and nice quality! They have a One Size Pocket Diaper that comes in lots of cute prints and is also very affordable compared to some of the other known brands like Blueberry, Swaddlebees, and Rumparooz (also excellent products that still save money overall but maybe aren’t the most budget-friendly if you’re trying to do cloth on the cheap). I’ve enjoyed the products I’ve gotten from Osocozy because they’re really absorbent and durable while also being very kind to your wallet. They have some nice organic unbleached flats that work for everything from actually diapering your kiddo to being a burp rag, changing pad, cleaning rag, etc. At least then even if flats aren’t your perfect diapering solution, they can still be very useful! (shown right). Very absorbent, easy to wash and dry, and durable. Prefolds and flats are one of the cheapest ways to diaper a baby, the easiest if your access to laundry is limited, and personally are my favorite to use. The photo below shows a stack of covers, a stack of prefolds, and a folded prefold with a Snappi as it would look on a baby. I’ve used both the Econobum and OsoCozy Unbleached Prefolds (sizes 1 and 2) with Thirsties Duo Wrap Snap (also sizes 1 and 2) for covers. I really love both for durability, softness, and absorbency. There are a few one-size options out there for fitteds if you’re interested in trying them out. 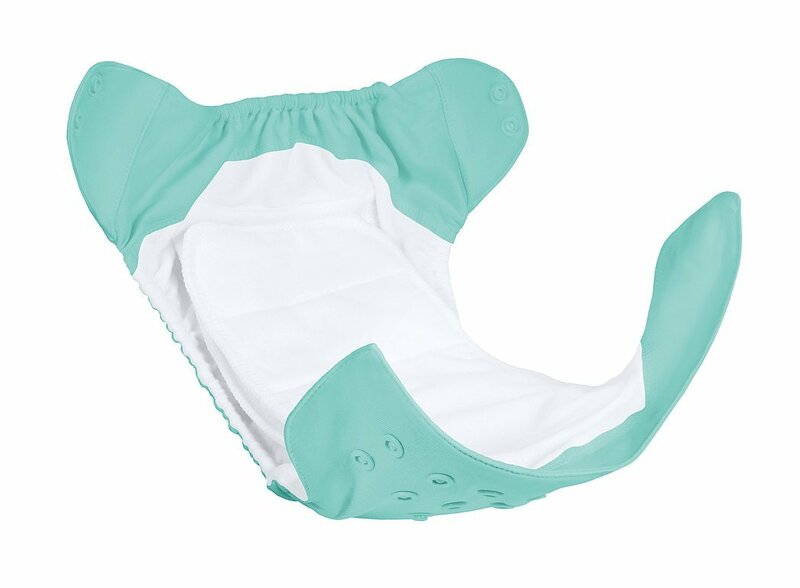 Not to keep plugging Thirsties, but they also make a fitted meant to be paired with their diaper cover or duo wrap, though you could use it in any cover of your choosing. I’ve also heard fantastic things about the Mother-Ease . So there you have all of the various types of diapers available! It can be totally overwhelming at first! That’s okay! I read a LOT of reviews when I was getting ready to take the plunge into cloth, and a lot of times you don’t know what will work until the baby is here and you have a chance to try things out for yourself. I’ll be doing some reviews of the products that I personally own in the coming weeks, as well as some more specific information about HOW I do my diaper laundry, what my going-out routine is, and more. If there’s anything you’re curious about, make sure to leave me a comment either below or on Facebook or Twitter!